After the session at SBWR, we took another nature walk. The place is just at one corner of the SBWR carpark. It is the Kranji Nature Trail. The entrance/exit to the trail is rather hidden. So you can't really view the entrance/exit from a distance at the carpark. Half side of the trail, you see the mangrove vegetation, the other side is the straits. The path is made up of gravels so comfortable walking shoes is greatly recommended. The Kranji Nature Trail was not a intended walk. Furthermore, with the huge amount of mosquitoes buzzing around, we had to quickly get out of the place. 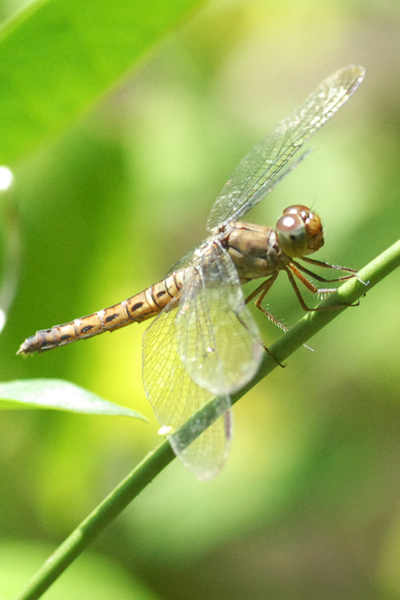 One thing I liked about the trail is the abundance of insects, especially dragonflies!!! Just a quick walk from the start to the end of the trail, I shot 4 dragonfly species. There were also a few other insects. This dragonfly I have yet to find it's identity yet. Another specie which I could not identify. 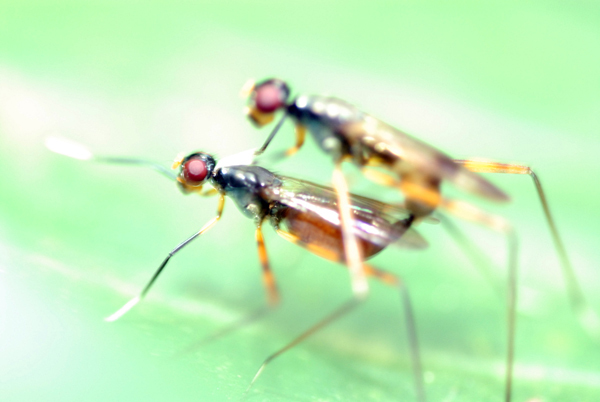 While shooting the mating couple, I was irritated by many buzzing sounds by my right and I could not get proper shots of the insect. Anyway, I was bad enough to intrude their privacy. I would have gotten better shots if not for the rush to get out of the trail and also the irritating buzzing insects. Throughout the whole trip, I only had a few bites despite me wearing bermudas. 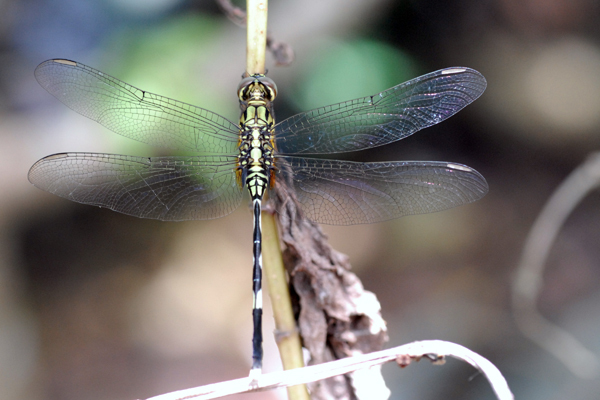 Kranji Nature Trail is definitely a good place to look for insects if not for the unwanted irritants.